Winner of The World of Interiors‘ Showstopper Award at London Design Week 2017, Zardi & Zardi’s ‘Venus & Adonis’ wall hanging more than lives up to the description: it’s a showstopper in the fullest sense. 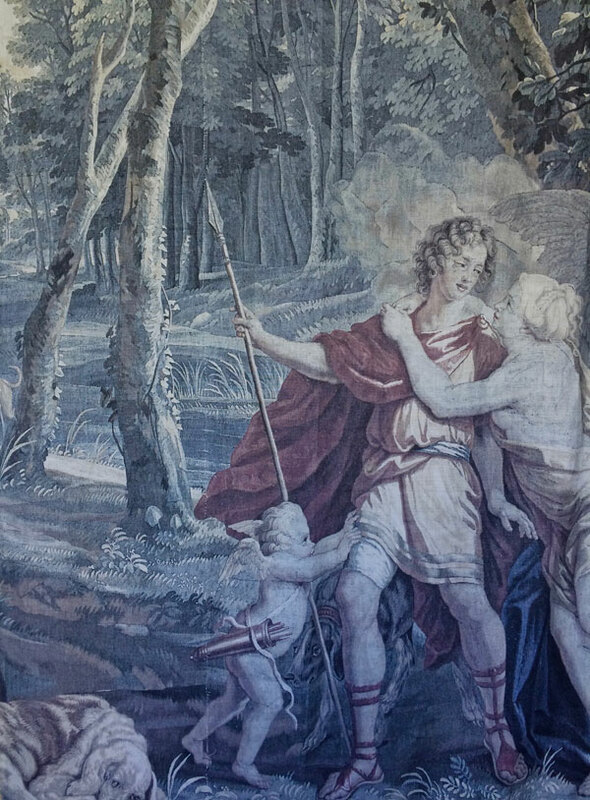 Available from Watts of Westminster, Zardi & Zardi is a highly specialist reproducer of tapestries, and much of its source material is world-class. The original Venus and Adonis tapestry was acquired by Robert Walpole in the 1740 for Norfolk’s Houghton Hall; Zardi & Zardi was commissioned by the Victoria & Albert Museum to make facsimiles of the hall’s tapestries while the real ones were sent away for conservation. Zardi & Zardi’s digitally printed version is pictured here in its Cervini colourway, a more subdued version of the original. The World of Interiors’ editor Rupert Thomas handed out the award during London Design Week, along with several Highly Commended awards, given to Houlès for its Palladio trimmings, Pierre Frey for Braquenié’s carpet collection, and Samuel Heath for its Landmark brassware.